Modern, cosy, comfortable, boutique hotel with some awesome views from the Premier Room, located inside Chiang Mai city centre, 10-15mins away from Chiang Mai International Airport and major tourist attractions in Chiang Mai. Ladies and gentlemen, let me introduce Baisiri Maya Hotel! This was the hotel that Team #EpiphanyGoChiangMai (Team Epiphany Duplet: Tiffany Yong and Peps Goh, along with Valentino Tan and myself) stayed in during our recent travel adventure to Chiang Mai from 29th January 2018 to 3rd February 2018. 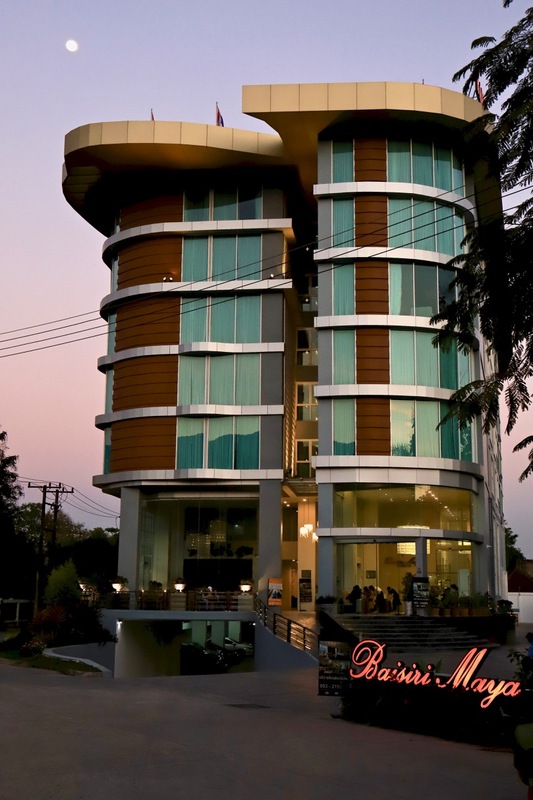 Baisiri Maya Hotel was our home base when we visited, explored and covered a few tourist destinations in Chiang Mai. For the duration of our stay at Baisiri Maya Hotel, we stayed in the Premier Room. 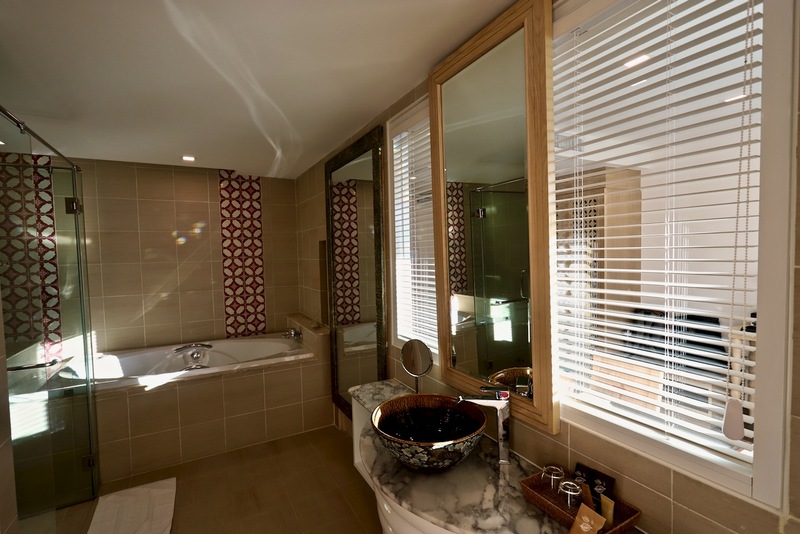 Personally, I really love this room, it’s very spacious (in the bathroom too! 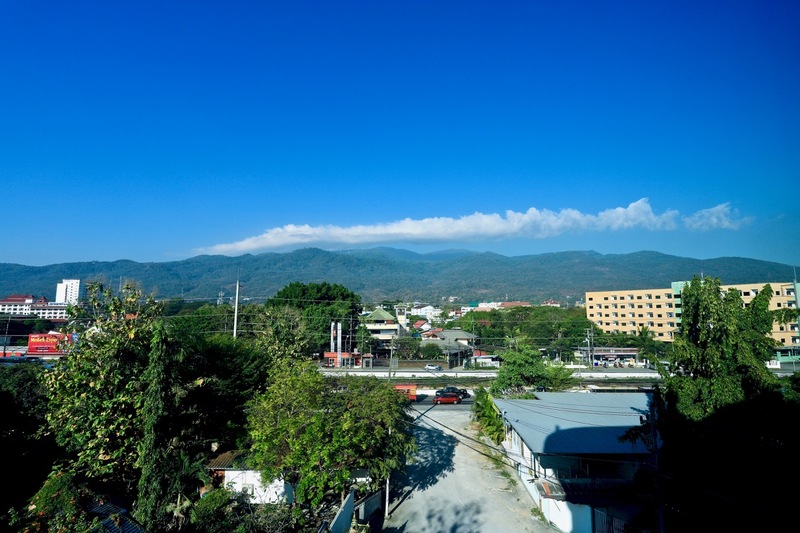 ), beautifully designed, comfortable and cosy, together with a great view in front of you, a landscape scene of the mountain range located at Doi Suthep National Park. The late afternoon sun rays shine through and into the room, lighting up the chandeliers on the room ceiling, projecting light artwork on the room walls. 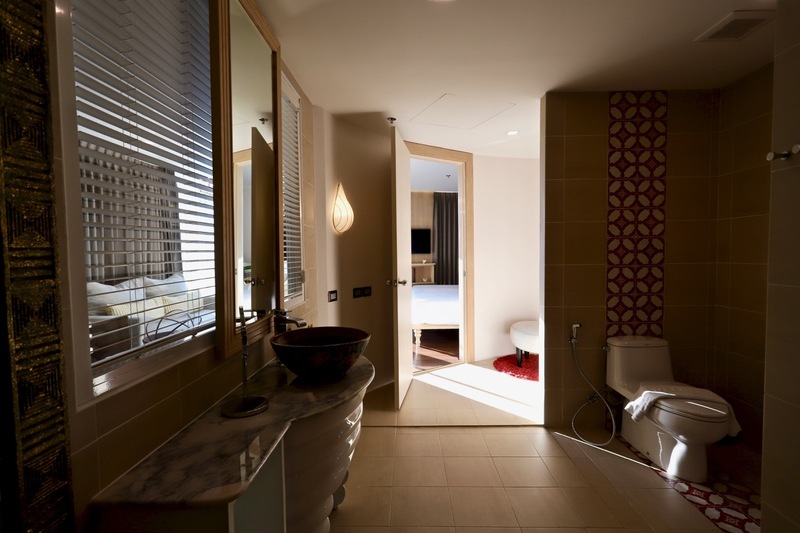 When the sun sets over the mountain range, you can sit down on the bed or sofa inside the Premier Room and enjoy the tranquil moment and gorgeous sunset scenery. 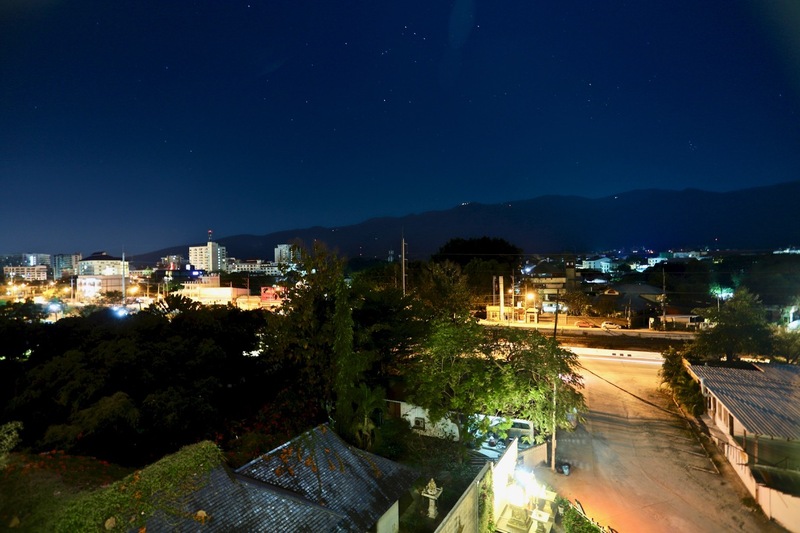 Late in the night, switch off the lights in your room, look up into the night skyline of Chiang Mai, observe and enjoy the pretty starry starry night! Breakfast is available at the hotel lounge, just beside the hotel lobby. With a mix of local Thai breakfast choices along with Western breakfast choices, guests can have a hearty breakfast before starting off on their Chiang Mai travel adventures! 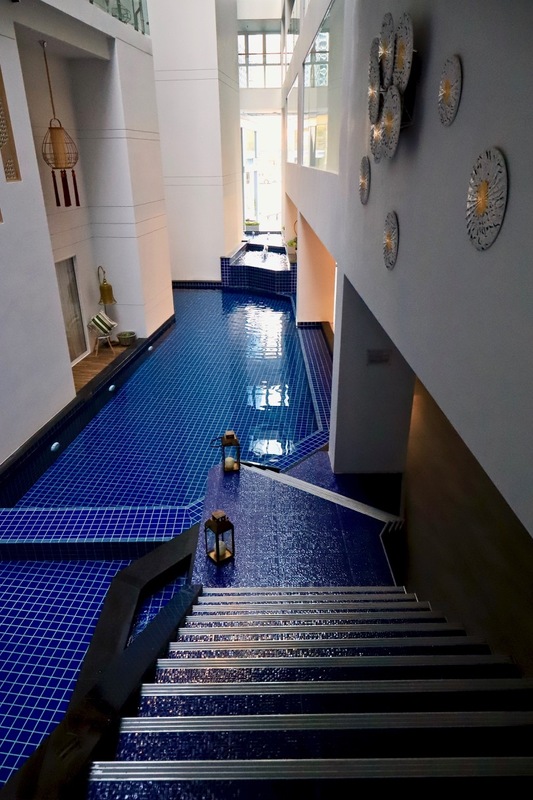 If you just want to relax in the hotel, they have a swimming pool inside the hotel, this is definitely not your conventional swimming pool design, rather unique and special, they are great for relaxing by the swimming pool , remember to pose and take lots of instagram photos, selfies and wefies! Oh, do remember to look up above and spot the decorations hanging from the glass rooftop! 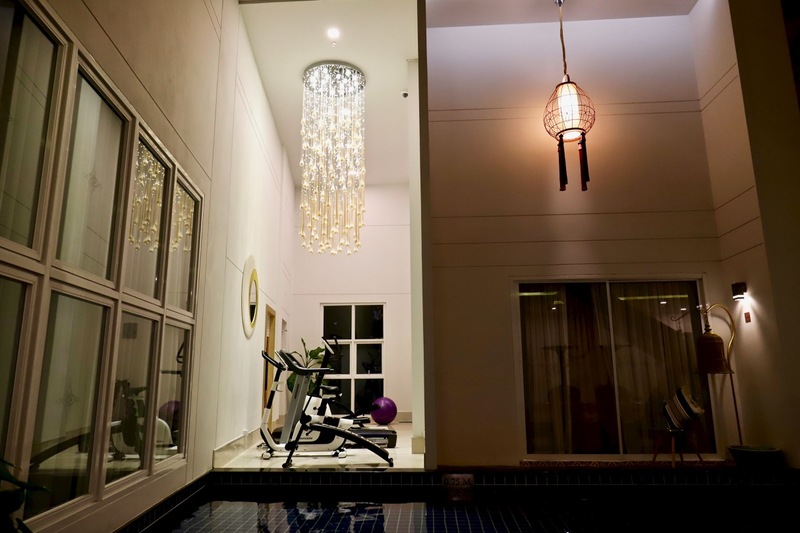 There is also a gym that you can visit and do your exercise workout, if not, you can also relax in the hotel lobby with some snacks and drinks that you can purchase from the hotel front office area. 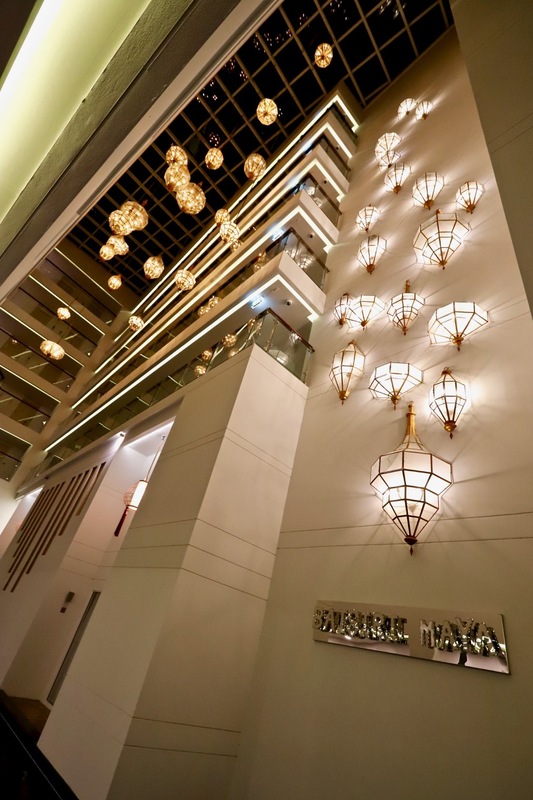 Keep a lookout for their iconic and distinctive chandeliers inside the hotel! 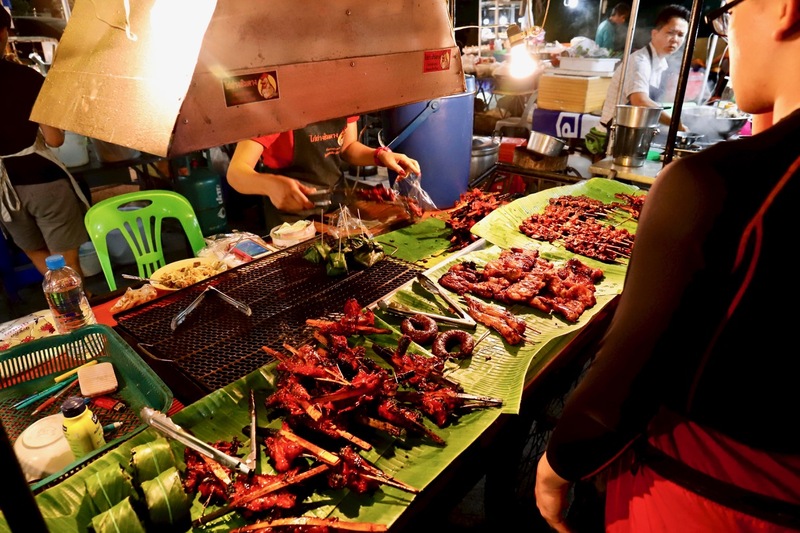 Thinking of heading out to somewhere nearby for delicious local Thai food, there is a night market opposite Chiang Mai University, about 20 mins walk, a relatively short 1.4km distance from the hotel. 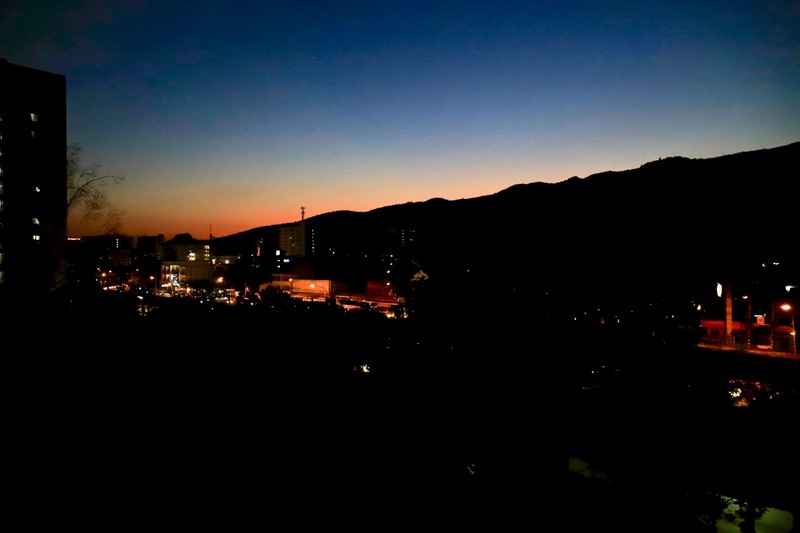 The night market is trendy and hippy, with students from the Chiang Mai University hanging out there for night market shopping and food! That’s another night market, smaller in size, around 300m away from the hotel, about 5mins walk away. Team #EpiphanyGoChiangMai had a local Thai food feast at the night market, a great and fun local dining experience! Do check out the photos in my Flickr photo album for more photos! There is also a 7-11 convenience store beside the night market too, if you need to stock up or buying something, you can visit 7-11 convenience store before heading back to your hotel. A further distance away from Baisiri Maya Hotel, you can visit Warorot Market and Chiang Mai Night Bazaar. These two locations are excellent locations to visit for night market shopping and eating local Thai food. In order to get there, I would recommend taking their local taxi or private car hire such as Grab. 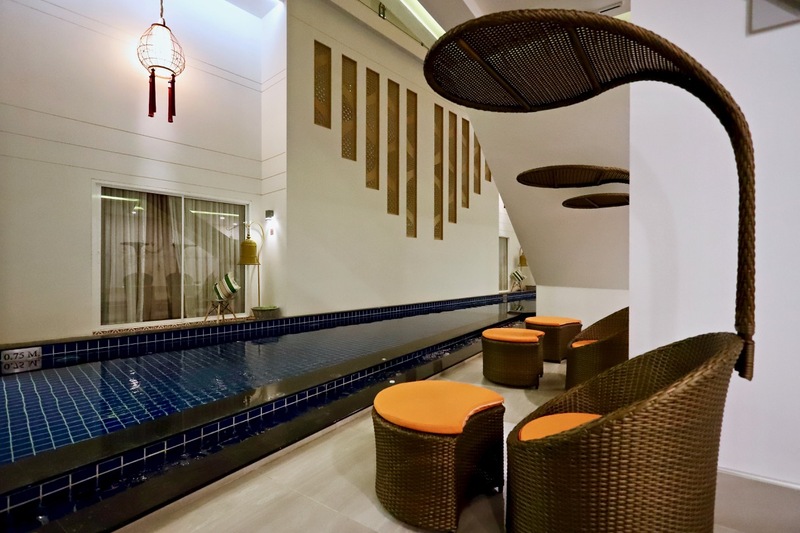 Baisiri Maya Hotel, is suitable for families with children, cosy and comfortable, located at a pretty convenient location, not too far away from Chiang Mai International Airport and major tourist attractions! 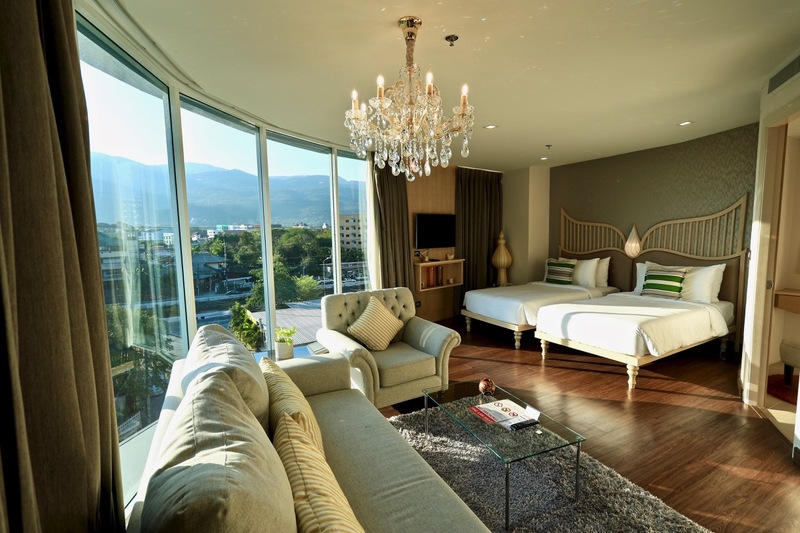 I highly recommend the Premier Room if you are bringing your family with children to Chiang Mai for a holiday! I would like to thank Baisiri Maya Hotel for their warm and friendly hospitality during our visit and stay in Chiang Mai. Thank you Baisiri Maya Hotel for hosting Team #EpiphanyGoChiangMai during our travel to Chiang Mai! A special shoutout to Tiffany Yongof Team Epiphany Duplet who worked tirelessly on the media trip planning to Chiang Mai for Team #EpiphanyGoChiangMai! Do visit her website and check out her article on Baisiri Maya Hotel!